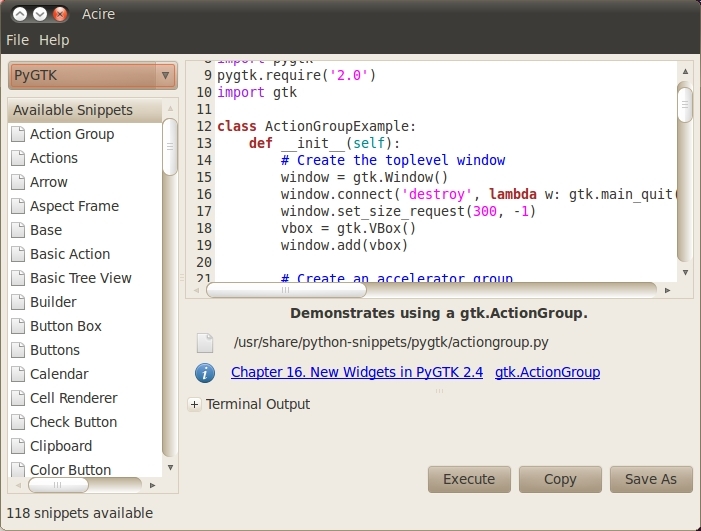 Today someone asked me how to run Acire and Python Snippets from source and contribute more snippets. I just wanted to pop up the instructions quickly here so I can point folks at them. These should work on Lucid and Karmic for sure, and very possibly older versions. Job done! You can now contribute snippets by reading this guide. I look forward to seeing your snippets, folks!